Since the reveal of the XK 120 in 1948, sports cars have been integral to Jaguar’s heritage, the culmination of this rich lineage being the F-TYPE- winner of more than 170 global awards. 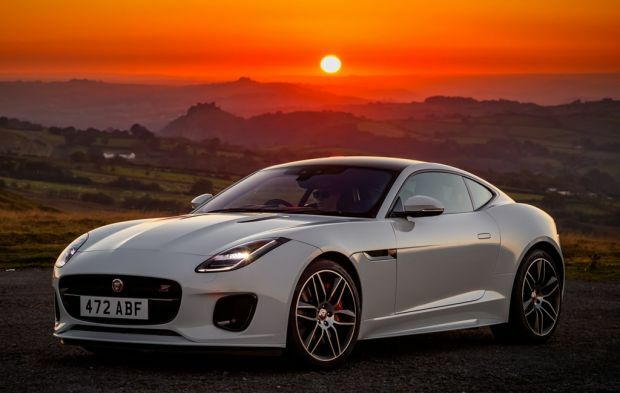 Now, in celebration of 70 years of Jaguar sports cars, the F-TYPE range has been enhanced by the addition of the Chequered Flag Special Edition. Based on the F-TYPE R-Dynamic Coupé and Convertible, and available with powerful four- and six-cylinder engines, the Chequered Flag features a range of subtle visual enhancements to the exterior and to the driver-focussed “1+1” cabin. Highlights include a Black Contrast roof on the Coupé and a luxurious Windsor Leather interior featuring Performance seats with embossed headrests, a Dark Brushed Aluminium centre console trim finisher and – in recognition of Jaguar’s motorsport successes – a steering wheel with discrete Chequered Flag logo and red leather band to mark the 12 o’clock position. Jaguar F-TYPE Chequered Flag editions are available to order now, priced from £62,335 OTR. McLaren Speedtail - it's coming fast and it's coming quick! Rolls-Royce announce 200 new jobs at Goodwood plant.